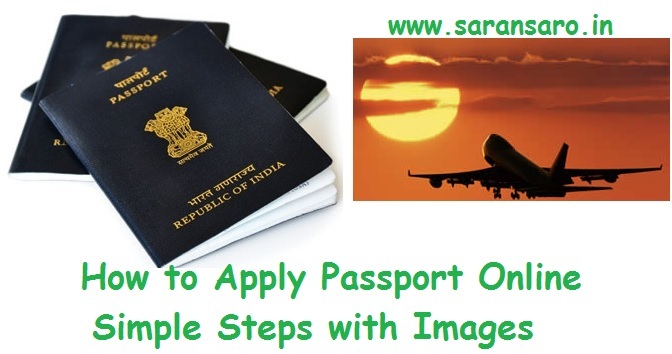 This article shows you step by step instruction to apply passport online. Yes. Everyone needs to passport in the modern world. We all know the purpose of the Passport. Okay let’s see how to apply for a passport easily. Newbies will always hesitate that how to approach to apply passport. Don’t worry, it is very easy to apply passport. Nowadays, All we are always connect with Internet. I will show you the simple steps to apply passport online. 1. Launch Passport Seva Website. 3. 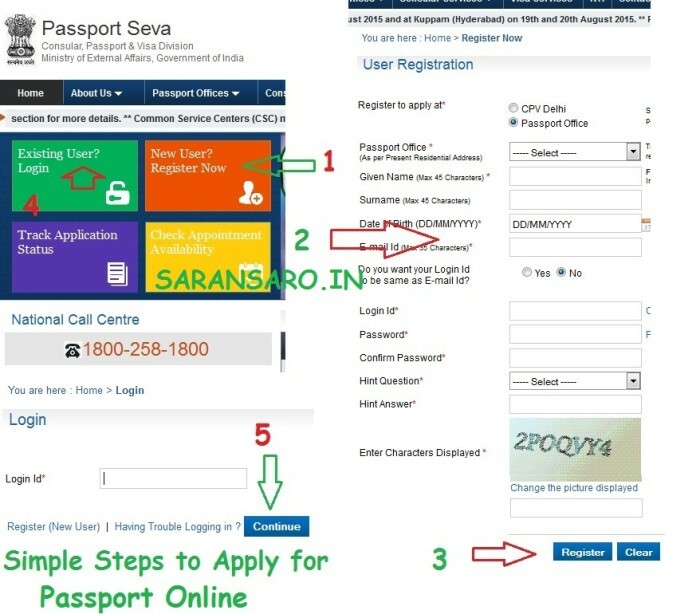 Now fill the form to create an account on the Passport Seva website. You need to select the passport office of the city you’re living in now or nearby to you, not your native place. Also make sure that you enter the name exactly as it appears in your other documents to avoid any problems with your application. The rest of the form is pretty straightforward – it’s just like signing up for any other website..
4. Click on Register when done. 5. 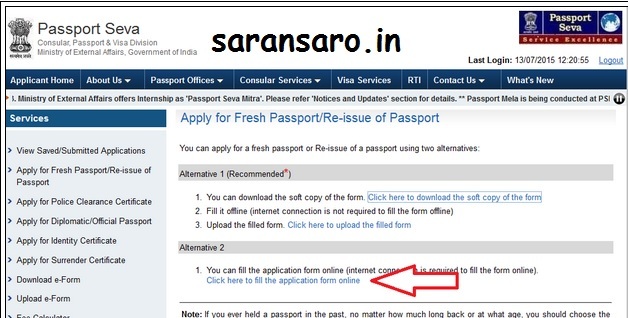 Now you’ve created your account, back to the Passport Seva website. 6. Click the green Login button. 7. Enter your email address and click Continue. 8. Key in your email, password and the characters in the image. Click Login. 9. Click Apply for Fresh Passport/Reissue of Passport. 10. You can either download the form, fill it and upload it back to the website, or just fill the details online. We recommend that you fill the details online to save time. If you you want to download the form anyway, click on Click here to download the soft copy of the form, in the first subheading on the page titled Alternative 1. 11.If you want to fill the form online, click on Click here to fill the application form online under Alternative 2. We suggest you choose this option as it is the easiest way to apply for your passport. 12.On the next page, you’ll have to choose between a Fresh passport or Re-issue, a Normal or Tatkal passport, 38 pages or 60 pages. Make the selections as per your requirements, and click Next page. 13. You have to enter your personal information on the next page, and once again, the information you fill should match your other documents. If you have any doubts, you can refer to this official instruction booklet. Once you’re done, click Submit Application at the bottom right. 14. After you’ve filled the form, return to the Webpage mentioned in step 9. 15. Click View Saved/Submitted Applications. 16. You’ll see the application you just submitted. Click the radio button next to it and click Pay and Schedule Appointment. A list of Passport Seva Kendras from your city will appear on screen along with the date and time of the earliest available appointment. 18. Select one of these from the drop-down menu next to PSK Location. 19. Enter the characters in the image next to and click Next. 20. Click Pay and Book Appointment. 21. This will now take you to the payment gateway. Complete your payment and you’ll be redirected to the Passport Seva website. 22. 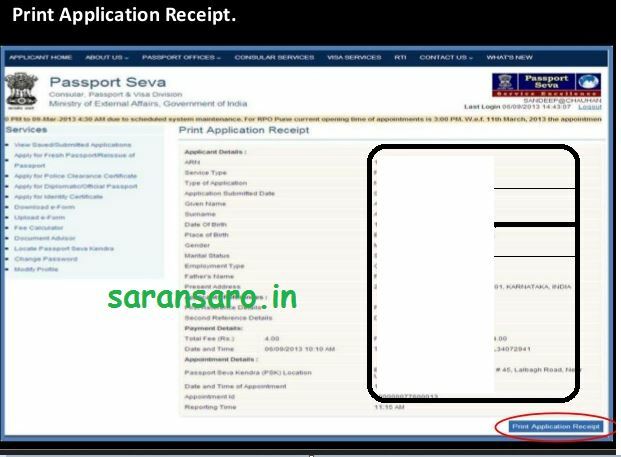 Now you’ll see a page titled Appointment Confirmation with all the details of your appointment at the Passport Seva Kendra (PSK). 23. Now Click Print Application Receipt. The next page will show a detailed view of the application – again, click on Print Application Receipt. 24. On the next page you will see a preview of the receipt. Again, click Print Application Receipt to finally take a printout of the appointment confirmation. 25. You will need a print of this receipt to enter the PSK. A ) Go to the Website here. Now Choose Passport from the drop down menu, and type in your case number (which the PSK gives you) and your date of birth, and click on Track Status to see the status of your application. Please Share this article below.